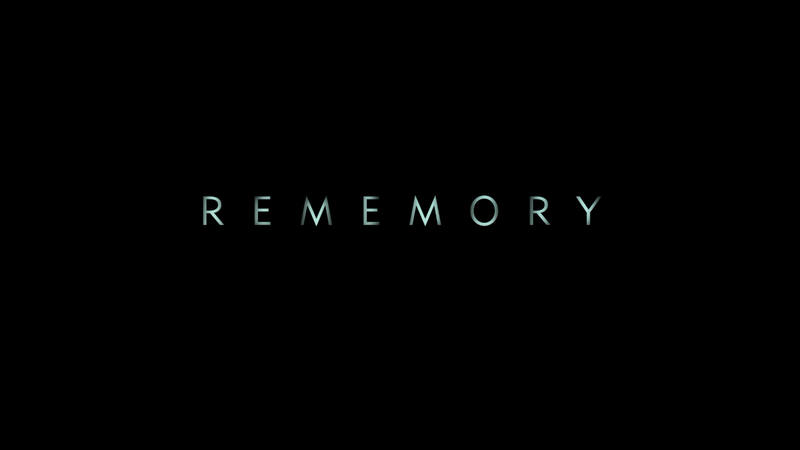 Rememory is a low key but interesting sci-fi drama that is less about the technology or even ethics, and instead a character piece on various ideas like regret, grief, joy, gratitude and more that makes up our memories and even what memories are regressed out of protection. Sam Bloom (PETER DINKLAGE) survives a car crash that killed his brother but cannot remember his last words before he died. As it would happen, a fledgling new technology can take a person’s memories and place it on a chip to view and utilized for memory recall. When its creator, Gordon Dunn (MARTIN DONOVAN) mysteriously dies, Bloom becomes an amateur detective to uncover the culprit, believing Dunn was murdered. 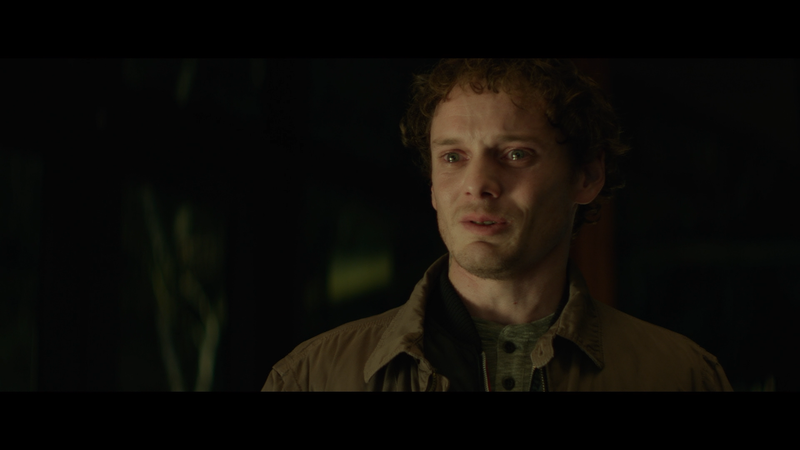 And there are a few suspects: a young man with emotional issues named Todd (the late ANTON YELCHIN); Robert Lawton (HENRY IAN CUSACK), company public relations and Dunn’s partner; and ex-lover and case study user Wendy (EVELYNE BROCHU). Bloom visits Dunn’s widow Carolyn (JULIA ORMOND) and a friendship forms after he recounts his coincidental meeting of her husband years earlier, how he saved and ultimately changed his life. But this befriending is ultimately a precursor for Bloom to later break in to the home and steal the device, using it not only to find out who killed Dunn but to unlock his memories from the accident. There are actually many aspects to Rememory that was fantastic. First, as a mystery it does work quite well but beyond that, the idea of a device being able to record ones memories is interesting. Unfortunately what co-writer/director Mark Palansky did with it didn’t go very far. They briefly touched upon the ethical questions and the side effects certainly play into the story (that being hallucinations following using the machine) but even that I don’t believe was used to the fullest effect it could have. Heck, I actually think the concept might’ve made for a better mini-series than a feature film, giving it the time to breath and examine all the issues. 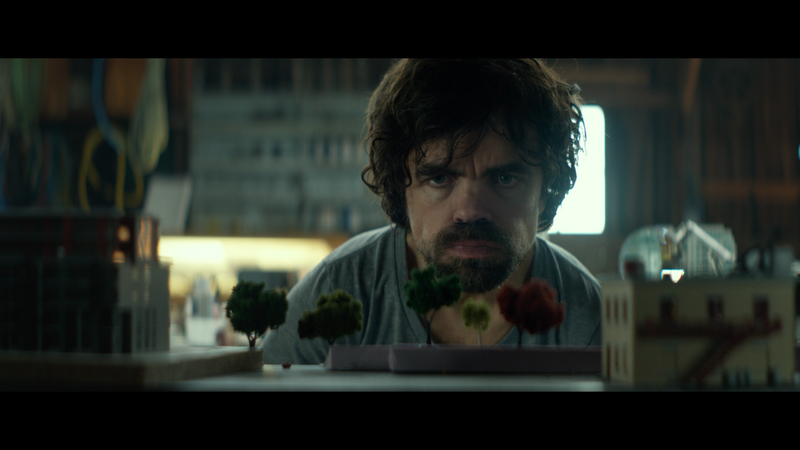 However, for all that doesn’t quite work with Rememory, it is still rather entertaining if for nothing else than the performance from Peter Dinklage, further proving what kind of an asset he has been on Game of Thrones and frankly in anything he’s in from The Station Agent to both Death in the Family movies. The features aren’t exactly plentiful, but there is an Audio Commentary with Co-Writer/Director Mark Palansky and Actor Peter Dinklage, both of whom provide a low key yet still enjoyable track with anecdotal stories while making the movie; and The Memories We Keep (31:59; HD), a basic, but lengthy on-set featurette with interviews by the cast and crew. 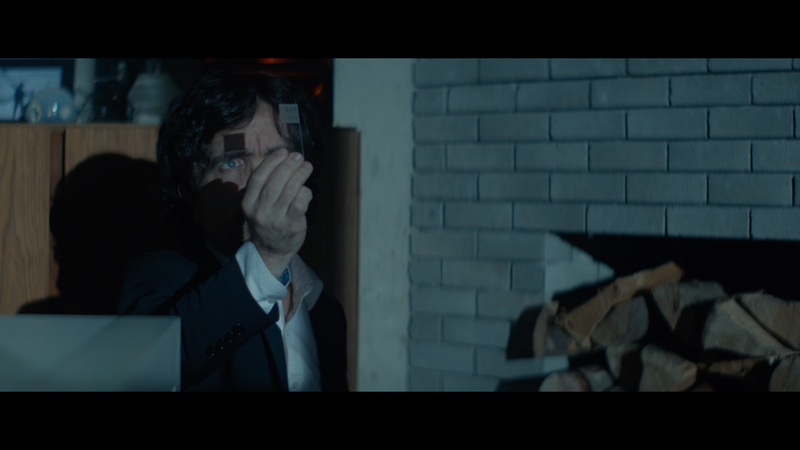 Lionsgate releases Rememory onto Blu-ray presented with a 2.40 widescreen aspect ratio and a 1080p high-definition transfer which features sharp detail throughout and although the story is dark, there are splashes of color and skin tones do appear natural. There were no signs of artifacts or aliasing, so it was relatively clean. The disc includes a DTS-HD Master Audio 5.1 track which sounds adequate enough but the majority of the film is strictly dialogue driven with limited usage of the rear channels outside of minor ambience along with the Gregory Tripi’s score. On the plus side, the LFE did nicely turn on to give the track an extra kick. 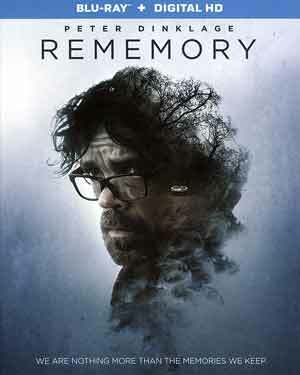 Although Rememory doesn’t live up to what could’ve been a great premise, as a character-driven drama, in conjunction with Peter Dinklage’s impressive performance, this is still worthy of a rental as it was entertaining though could’ve been so much more. The Blu-ray released by Lionsgate offers up good video/audio transfers while the features were limited.